A uniquely designed wooden pepper mill is always a favourite both to turn and to use. 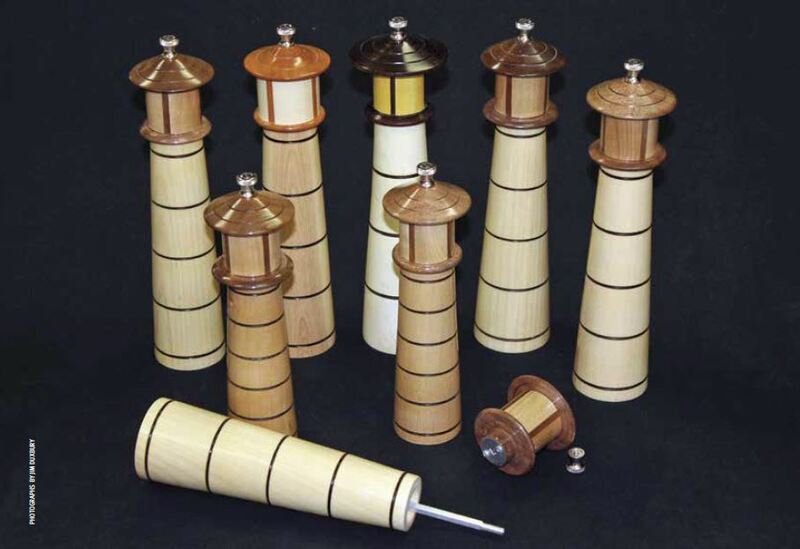 Pepper mills can be made in a basic form from a solid piece of wood or complex wood glue-ups of contrasting colours. In some cases, forms such as a mushroom, the Seattle Space Needle, or even some of the historic lighthouses of England and others around the world would be of interest. All of these wooden mills can be attractively turned and are only limited by your own imagination. I have made numerous pepper mills of various shapes and sizes; however, the most popular is the lighthouse design.